This activity can be done in a computer lab or as a homework. Students have to search the web in order to find the best summer camp! 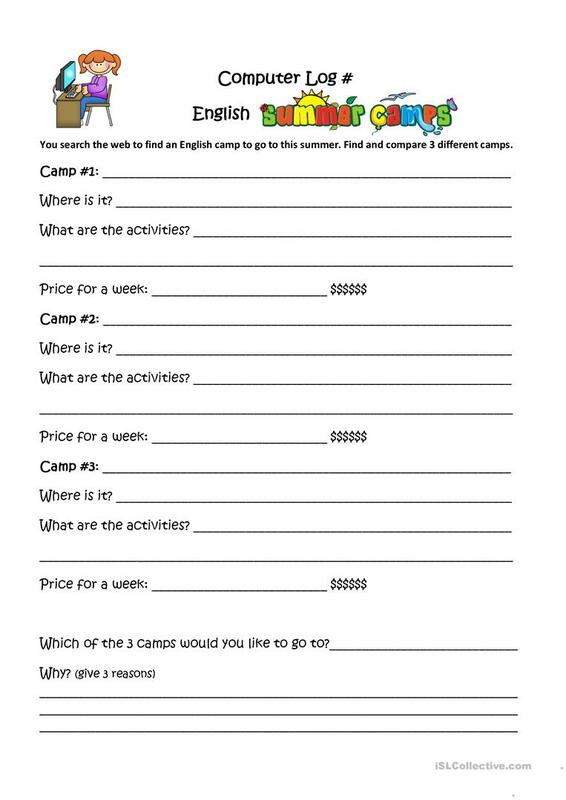 This downloadable printable is intended for elementary school students at Elementary (A1) and Pre-intermediate (A2) level. It is excellent for enhancing your class' Reading and Writing skills.